If you love chocolate just as much as I do, you’re going to love this recipe! It is so easy and quick to make (minus the refrigeration time) and so good for you too! This is the type of chocolate that nutritionists say are good for you! Full of antioxidants, these chocolates will not only be a treat but medicine for your mind body and spirit! 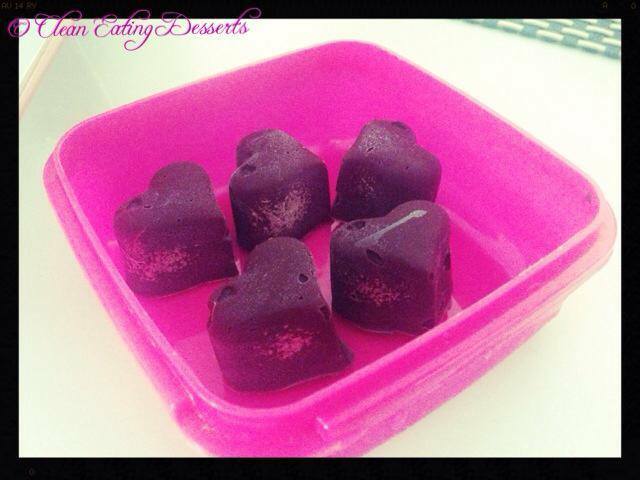 Pour into heart-shapped ice moulds (or any other moulds) and refrigerate for at least 4 hours. Then remove from moulds and enjoy! You can store them in a container in the freezer for months!